ASU students and faculty look at a student's work in the Digital Creative Studio in the lower level of the Memorial Union in Tempe, Arizona, on Friday, Feb. 9, 2018. Thanks to ASU's Student Creative Services, there is now a place on the University's Tempe campus that allows students to produce and edit multimedia content with professional help. The new Digital Creative Studio, which opened in the Memorial Union’s "Sparky’s Den" Jan. 30, offers video production, editing and presentation tools to students. According to its website, the Creative Studio is a service that offers hands-on access to help students create multimedia content. Dan Dickson, director of Student Creative Services, said that plans for this space had been in the works for some time and when an opportunity came up to open in the MU, the studio had to take it. He said the studio is there to be a resource for students and is equipped with knowledgeable student staff to provide assistance if needed. “Most of our Media Production Associates are media productions students and have a lot of experience and all have good skills for them to help students,” Dickson said. Dickson said there are simple softwares for students who need to make a project but might not know a lot about technology. “The studio is very simple, and they then can take their data and reserve a computer to produce or edit the material,” he said. Pete Magine, a film and media production senior, said the studio is convenient and great for when students need programs they can't access on their personal computers. "The computers have a lot programs, so it is convenient because you do not have to pay for those softwares," he said. "Also, if you do not know how to use those softwares, there are workers present to help you." Latavia Young, a film and media production senior and coordinator of the Digital Creative Studio, said there are a lot of possibilities and services offered that cater to students' needs. Student Creative Services also offers space for in-person instructional classes as well as online programs. Because technology plays a vital role in society, Young said the skills taught at the studio are valuable to employers and to the students’ futures. 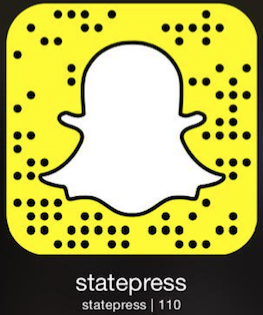 Editor's Note: The State Press operates as part of ASU’s Student Media and Student Creative Services, a department of Educational Outreach and Student Services. The State Press is an editorially independent, student-run news organization, and this article was reported and edited independently of Creative Services.